Brandon Workman will seek a second opinion from Dr. James Andrews on his right elbow. Workman was placed on the disabled list at the start of the season with a right elbow strain retroactive to April 3rd. 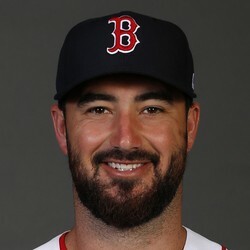 Workman has experience as both a starter and a reliever for the Red Sox, but has yet to stick in either role at the Major League level. The most recent news is certainly not encouraging for this season, but if a correctable injury is found and treated Workman could work his way back into a role with the Red Sox some time in the future.